Obituary for JoAnne (Young) Hall | Cromes-Edwards Funeral Home & Crematory, Inc.
JOANNE (YOUNG) HALL, age 72 of Sidney, passed away peacefully surrounded by family on Wednesday, January 16, 2019 at 5:25 PM at her home. She was born on February 10, 1946 in Sidney, Ohio, the daughter of the late Webster A. and Elaine (Chambers) Young. Jo married Larry E. Hall on March 19, 1966. They celebrated their 52nd wedding anniversary in 2018. Larry survives along with their three children, Craig (Tracy) Hall of Sidney, Julie (Tony) Kies of Houston, and David Hall of Lebanon, and six grandchildren, Nathan and Allie Hall, Ryan and Tyler Kies, and Landon and Reece Hall. She was preceded in death by one sister, Suzanne (Young) McDonald. Mrs. Hall graduated from Sidney High School in 1964. She retired from Monnier and Co., CPAs. 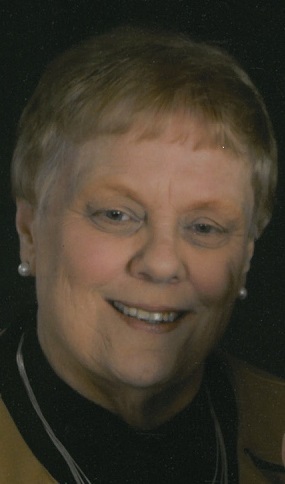 She was a preschool Sunday school teacher for many years at St. John's Lutheran Church and served on Church Council where she was a lifelong member. Jo was a homemaker and loved to be with her family. They were an important part of her life. The family would like to give a special thanks to the nursing staff at Fair Haven Shelby County Home for the quality of life provided to Jo during her stay, and to Wilson Hospice for their love and care.